Bastille are coming to blow you away LIVE at Stage AE on Saturday 9th September 2017! These guys sure know how to be on a show and will be bringing all the energetic and excitement to venues across North America on their Fall tour! Join the British four-piece as they get the crowd non stop moving with their haunting melodies and driving rhythms! A one of a kind performance… don't miss out – tickets are NOW on sale! 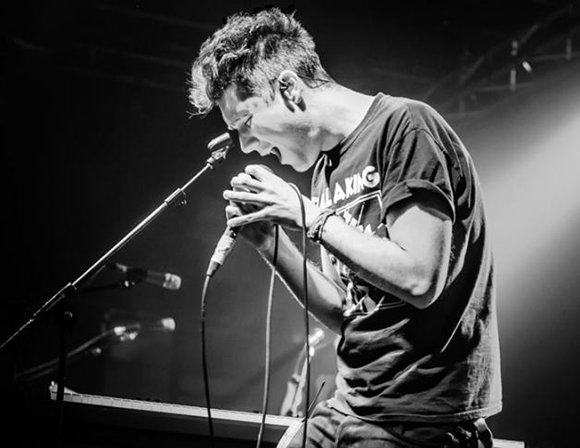 Forming back in 2010 in London, England… the indie pop led act, Bastille broke through from the underground and local music scene to a more mainstream position! Consisting of lead vocalist Dan Smith, keyboardist Kyle Simmons, guitarist and bassist Will Farquarson, and drummer Chris "Woody" Wood, the band released their first EP, Laura Palmer, in 2011, subsequently performing at major UK festivals including Glastonbury, the Isle of Wight, Reading and Leeds Festival and Blissfields. Their debut studio album, Bad Blood, was released on 4 March 2013, and went to number one in the UK Albums Chart. Their second studio album, Wild Wood, was released in September 2016, reaching number 1 in the UK, and number 4 on the Billboard 200! A triumph and a stepping stone up to yet another successful year ahead!